Have you experienced true 4K gaming with the Xbox One X? If you haven’t had a chance to play on the most powerful console ever made, this might be your chance to win your very own box of dreams. That’s not all, though – this is a limited edition custom console, designed by the Wargaming team to celebrate the launch of World Of Tanks: War Stories. This console not only offers those six terraflops of power, 12GB of GDDR5 RAM, Dolby Atmos sound and the HDR features that we’ve come to love. It also offers a unique, hand-painted design, with rivets, tyre tracks and its own version number. Yes, this is a console that only one person in the world will own… But will it be you? 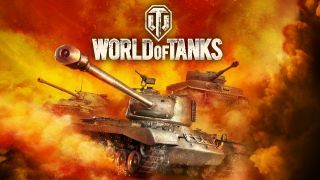 If you win the console, there is one excellent way to test out its 4K capabilities, too – World Of Tanks: War Stories. This single-player campaign takes you around the world in an alternative version of history. Defeat enemies storming London, Berlin and even Cuba during the missile crisis as you roll through some of the greatest battles history never saw. It’s free to play, and with full support for the Xbox One X it’s a great game to test the real power of the new console. What was the development codename for the Xbox One X?